Exceptional views are complimentary with every bite when you dine along the Seine River. 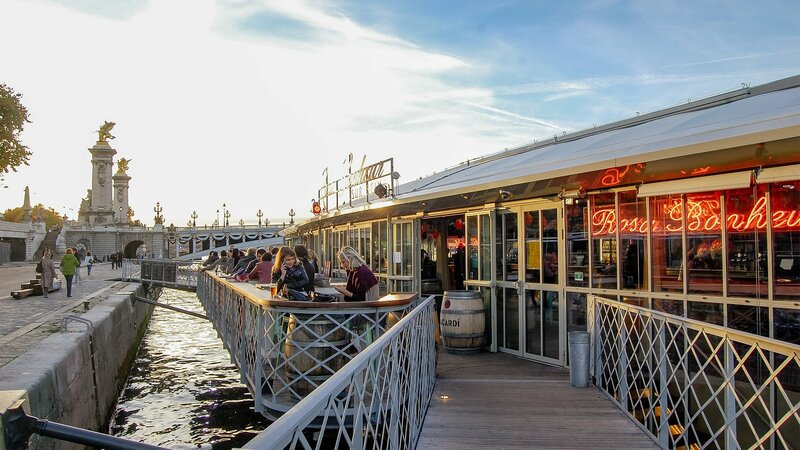 Explore the myriad of options along the waterfront for a beautifully delicious Paris dining experience. There’s nothing more romantic than toasting a trip to Paris with a bubbly glass of champagne and a delicious meal that highlights the flavors of France. And this experience is truly taken to the next level when it’s enjoyed onboard one of the many dinner cruises that leisurely cruise along the Seine, and which highlight the top attractions in the city. With postcard-worthy vistas of the Eiffel Tower, Notre Dame, the Louvre, and a wealth of other iconic landmarks, a dinner cruise effortlessly combines sightseeing with sumptuous cuisine via multi-course meals and ever-changing views. For something lighter and family friendly, lunch or even brunch cruises are available as well, which feature a daytime perspective of the local landscapes. Regardless of the time of day, a food-focused cruise combines the best sightseeing and the best French flavors in a singular and unforgettable experience. 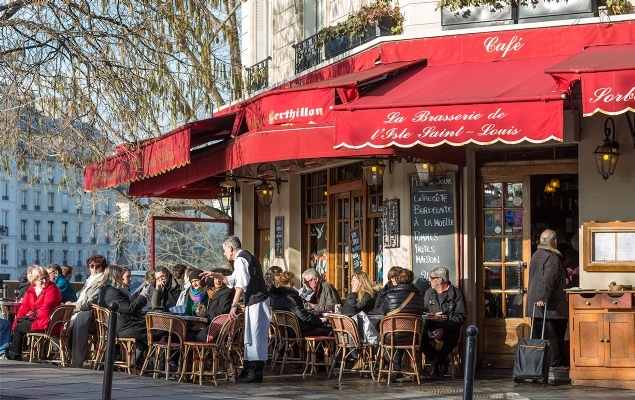 A long pedestrian walkway stretches from the Musée d’Orsay to Les Invalides, and visitors exploring this scenic section of the city will have ample opportunities to pause for a drink at a café table. 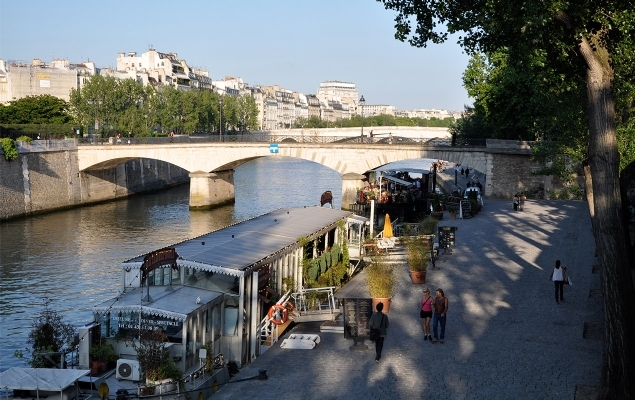 Sign up for a Seine “bar crawl” to discover a variety of unique establishments on and along the river, or simply relax at a local café that has ample outdoor seating and miles of waterfront views. The banks of the Seine has tons of options to whet all appetites – from cozy pubs to chic clubs that feature dancefloors on adjacent barges. As a result, all thirsty visitors will find plenty of ways to unwind, or have an unforgettable night in the city, when they head to the waterfront. 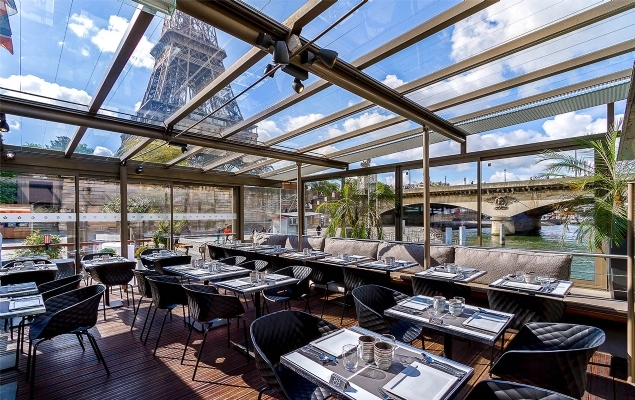 For a dining experience where the setting almost steals the scene, there’s nothing like heading to the banks of the Seine River. In the past several years, a variety of unique and tempting options have popped up along the water’s edge, like Rosa Bonheur sur Seine, Faust, and Cave du 38 Riv’, which can feature exceptional cuisine, a vivid nightlife scene, live music, spellbinding views, and / or all of the above. Located on the Left Bank, the Right Bank, and even central locales like the Île de la Cité which is literally surrounded by water in every direction, exceptional cuisine and riverfront views go hand in hand in this city that reveres gorgeous backdrops.